Price Computing Scale | Calculating pounds ounces dollars , CAS S2000 JR or Rice Lake RS130 price computing scale. Designed for portable use with a built-in rechargeable battery pack (and standard AC power), the RS-130 series is ideal for farmer's markets, deli’s, bakeries, candy and coffee shops, convenience stores, produce markets, hardware stores and more. 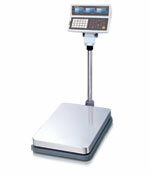 The digital scale features easy to read weight display on both front and back and is legal for trade. This scale will even calculate customer change so you don't have to. Customers like the S2000 JR since it's the perfect solution for individuals or markets selling produce and other goods by weight. 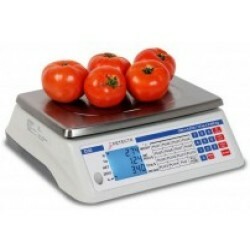 The CAS S-2000 JR. is one of the very few legal for trade produce scales on the market with a large 60 pound maximum weighing capacity with dual range readability. These portable produce scales are perfect for weighing heavier pieces of fruit like pumpkins, sweet potatoes or even watermelons. Be sure to buy a NTEP legal for trade scale in order to meet local and state requirements. 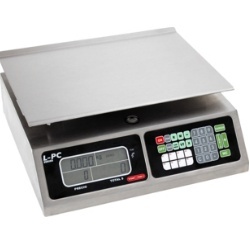 Our NTEP certified retail scales are easy to use and most can operate on either regular 110 volt AC power or battery power. 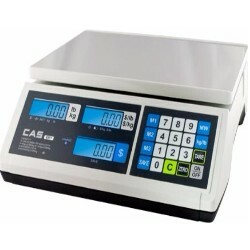 CAS S2000 JR Price Computing 30 lb LCDThis price computing scale is the CAS S-2000Jr. 30 lb. LCD AC/Battery Power NTEP legal for trade. Features price per pound calculations, RS232 serial port which is ideal for direct sale of commodities in stores such as: supermarkets, deli's and local groceries and produce markets. 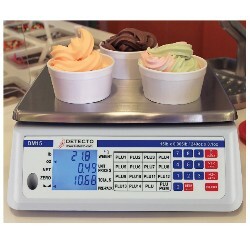 CAS S2000 Jr Frozen Yogurt Scale Price Per Ounce 15 lbCAS S-2000Jr. 15 lb. LCD Battery Power NTEP legal for trade price computing scale includes a RS232 serial port and is ideal for direct sale of strawberries, tomato, and frozen yogurt by the ounce in stores such as frozen yogurt shops, supermarkets, farmers markets, fudge and chocolate shoppes and small neighborhood groceries. Operates on standard AC power and built in rechargeable battery. Salter Brecknell PC-30 Commercial Scale 30 lb.Brecknell PC-30 NTEP legal for trade price computing scales are well built portable electronic price computing scales ideal for use where counter space and economy are important considerations. With the PC series, Brecknell Scale has taken weighing technology to a new level to offer an unbeatable package to farmers market vendors to candy shop retailers everywhere. Capacity: 30 x 0.01 lbs. 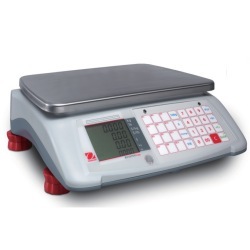 Ohaus Aviator 7000 Price Computing Scale 30 lbOhaus Aviator 7000 retail price computing scale can meet virtually every weighing need and is an ideal fit on almost any counter. 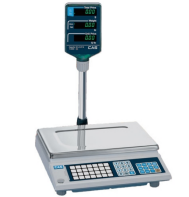 This NTEP Approved Legal for Trade price computing scale is easy to install, easy to clean and operate and requires minimum maintenance. 30 x 0.01 lbs. Detecto DM15 Commercial Food Scale 240 ozDetecto DM15 price computing scale features a unique 240-ounce capacity by 0.1-ounce accuracy (15 lb x 0.005 lb). The low-profile DM15 retail scale offers up to 99 easy-to-add PLUs for fast reference (14 direct quick keys and 85 indirect PLUs). The dual display for clerk and customer shows Weight, Unit Price, and Total Price on the front and rear backlit LCDs (up to six 0.5-in/13-mm high digits). 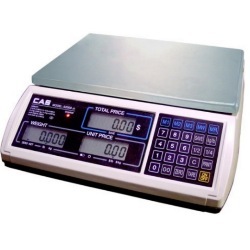 CAS ER Junior Price Calculating Scale 30 lb.The ERJR30L price computing scale from CAS is an economical high quality 30 pound certified scale with LCD display and standard AC and rechargeable battery power. NTEP legal for trade. ER JR. features price per pound calculations. Scale is ideal for direct sale of commodities in stores such as supermarkets, deli's and local produce markets. 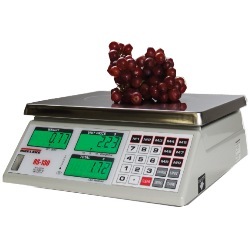 Penn Scale CM-101 Food Service Scale 30 lbIf you are looking for a low cost brand new NTEP Legal for Trade price computing scale for your restaurant or deli you've found it with the CM101 scale. This CM-101 scale from Penn Scale features an LCD display on both front and back and can run on regular AC power or rechargeable battery. Capacity: 30 x 0.01 lbs. 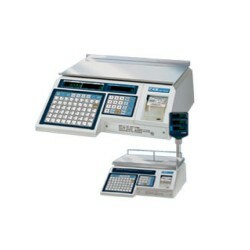 CAS EB-150 Price Computing Bench Scale 150 lb.The EB-150 Series bench scale style Price Computing Scale offers a 150 lb. capacity. Large Platform great for bulk weighing. Produce crisp, clean receipts and labels with the optional DLP-50 Label Printer and DEP-50 Receipt Printer. Use in laundry facilities, farmer's markets, retail, recycling, & more. 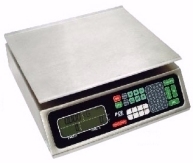 Tor-rey LPC-40L Price Computing Scale 40 lbTake the guess work out of pricing with the Torrey LPC-40L series NTEP legal for trade price computing scales. Designed for portable use with AC power and built in rechargeable battery, the LPC-40L series is ideal for deli’s, bakeries, candy and coffee shops, convenience stores, produce markets, hardware stores and more. Display on front and back. Features a 40 lb x .01 pound capacity Portable: Works in reduce space thanks to its small size, 100 Price memories, 8 Direct access memory keys, Backlight Display, Brushed Steel construction. Tor Rey LPC-40L Computing Scale and Carry Case BundleNow available as a bundled product. This item includes (1) Torrey LPC-40L series NTEP legal for trade price computing scale and (1) Hard Shell carry case. Perfect for storing or transporting the scale. Designed for portable use with AC power and built in rechargeable battery. Display on front and back. Features a 40 lb x 0.01 pound capacity. Ground shipping included for customers in continental U.S.
For over a decade 1800scales.com has been the top choice online to purchase legal for trade digital scales. We have the expertise and the buying power to provide you with high quality products and recommendations. Have a product question? Contact us and we will get the answer for you. 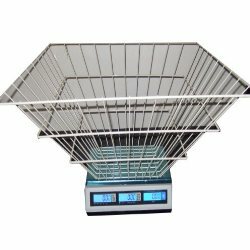 We typically stock quite a few different models and capacities so the odds are if you need a commercial scale for selling items by the pound, we can get it shipped out to you, same day that you place the order. And we offer the top brands like Brecknell, CAS, Ohaus and Rice Lake. The reason we do this is simple. When you purchase a scale, you want it to work when you need it the most. In our experience, you can depend on these top brands. It's important to think about a few things before you make a purchase. For example, do you need a 15 lb, 30 lb, or 60 lb capacity? This will affect your readability as well (0.005, 0.01, 0.02 lb). Do you need a rechargeable battery or do you prefer D Cell batteries? Do you need a tower display or will the standard front/back display work? Do you need to connect a label printer? If so, there are certain commercial scales (CAS S2000 JR) that make it much easier than others. 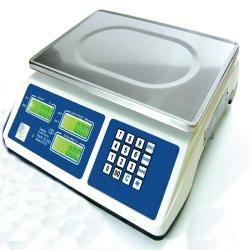 Do you need a specific weighing unit like ounces or kilograms? How reliable is one brand versus another? These are all valid questions that you need to consider. Especially in today's world where scales from China flood the marketplace and quality levels drop along with prices. 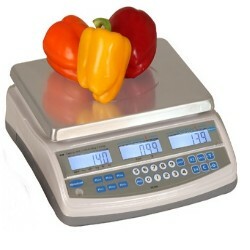 The fact is that we've been providing high quality weighing equipment to customers on 1800scales.com for over ten years. That is a lot of experience that we can offer to you. If you have a question, contact us via our contact form and we will get the answer for you quickly. We have hundreds of loyal customers who count on us to provide them with their weighing equipment and we would love to add you to our list of customers.